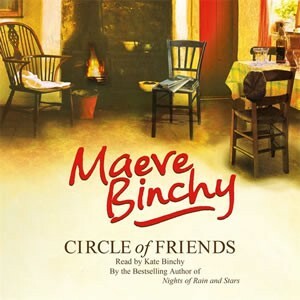 The classic bestseller (made into a hugely successful film) about friendship from Maeve Binchy. In the small Irish town of Knockglen, best friends Bernadette (‘Benny’) and Eve are inseparable. Benny is an adored only child, and Eve, a poor, birdlike orphan brought up by nuns. On their first day at University College, Dublin, a fatal road accident brings the pair together with fellow students Nan Mahon and Jack Foley, and new friendships are quickly struck. Jack and Nan introduce Eve and Benny to a life of excitement and sophistication. But beneath their carefree existence trouble is brewing for the circle of friends. Warmth and laughter are interwoven with sadness in this compassionate and absorbing tale of friends whose lives, over a period of ten years, become entwined. Carole Baron, Maeve Binchy’s publisher in the USA, explains why this is her favourite novel.